Oh gosh~ That sheer seething just covered her legs— which is like GG assets… Not a good dress to be completely frank. The fit is completely off, she looks so dowdy. 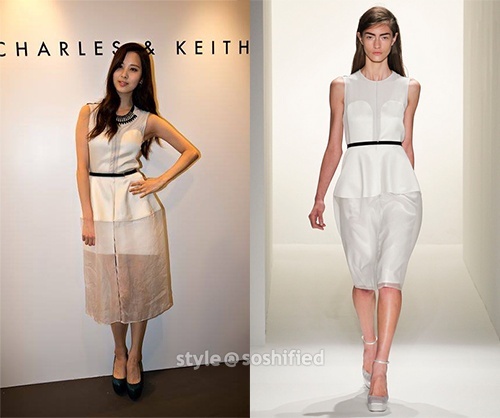 Sorry Seobaby, I love you, but this dress is not going you any good. if only they did a better job in altering and fitting. tbh i don’t like how they shortened the hem of the inner skirt. they should’ve just shortened it altogether just above the knee and hemmed it to the shape of a pencil skirt. I agree. It seems like there’s a lot of inactive stylists here. Me too.I also found some like jessica top from Love&girls is from topshop. 1. looking for everything isn’t as easy as some of you might have perceived. it takes time and effort but we guarantee that we post it as soon as we found info on their clothes. 2. there are times that the girls don’t have any schedules for public appearances, flights, etc. leaving us nothing to work with. 3. us stylists also have our personal lives to tend to, in addition to running this site. so we hope for your kind consideration if you think the site is becoming boring. moreover, other stylists prepare “get the look” posts, featured articles, and reviews for our readers. if you’re still unsatisfied with the quality of our posts, please feel free to contact us through e-mail and let us hear your comments and suggestions. lastly, please know we don’t have any hard feelings for you, i think it’s just fair that you hear our side of the story. we appreciate feedback like this and we’ll work harder in the future. thank you! I don’t know where to begin with this, maybe from head-toe? That necklace has no place in this outfit, why oh why would you add a tacky fringe looking necklace to a clean minimalistic dress? The icing on the cake are the chunky black pumps, it weighs the whole look down and almost blends in with the background. Hi! Thanks for sharing your side. I do appreciate your work and I think you’re one of the most active stylists here. Those featured articles above have been there for quite some time now and we’ve seen them already. So I guess us readers just want something new. Any way, still thanks for creating this site. I hope for the best. Yes. We really do appreciate that this site exist. 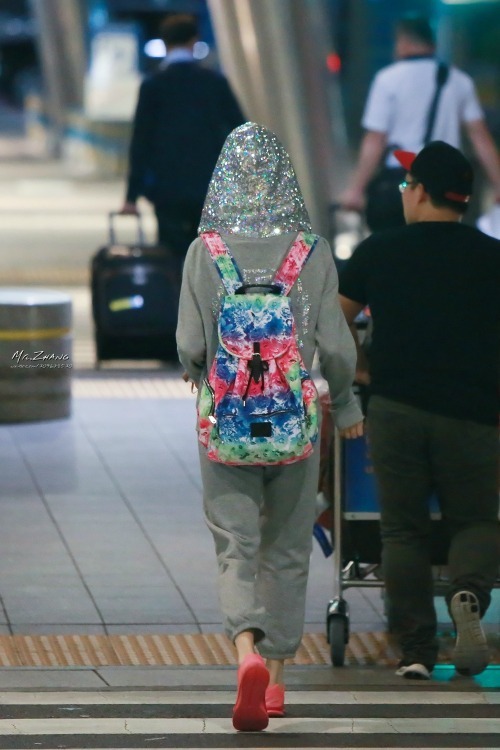 Most of others kpop idols do not have a proper styling page like this. We, readers just want a proper updates because as you all known as a Sone, we all want to know about snsd members’ even little things…what they use.